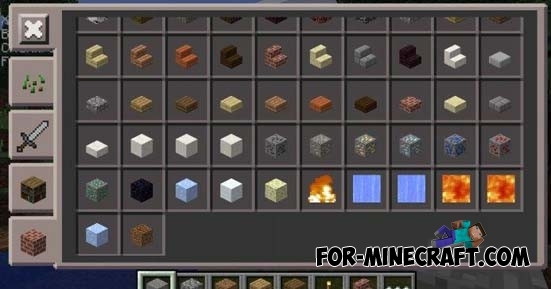 You will get a lots of new features for your MCPE 0.11.1. These features make the game more approximate to the familiar PC version. You will have 32.000 slots in survival mode, as well as a many of elements (the developers have ported from the desktop version). The most interesting thing, you will have a new debug menu. 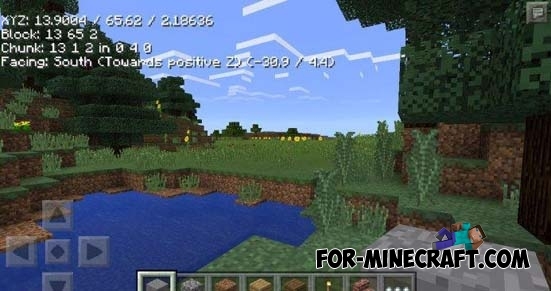 Debug mod for Minecraft Pocket Edition 0.10.4Mod allow you to see your position, your game FPS, information about the block, biome name and game mode!